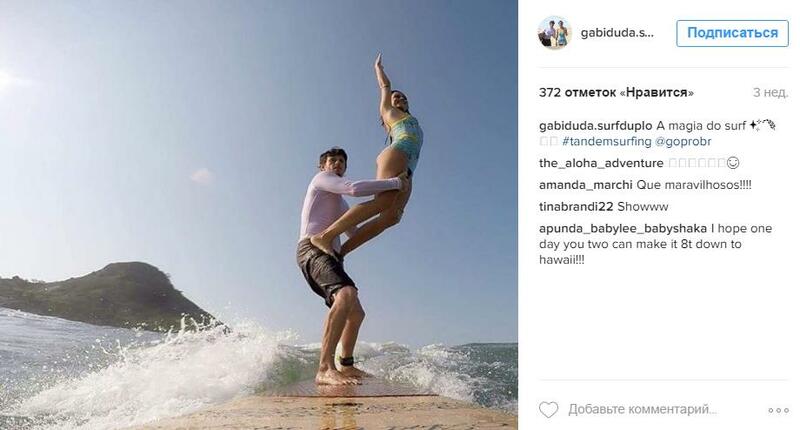 If you happened to see a surfer holily holding a woman in unnatural position above his head – you became a bystander of the earliest sport called tandem surfing. Thanks to the efforts of one American couple it turned out to be at the peak of popularity again bravely reaching the first spots in the rankings in the field of modern activities. From the history we know that this freakish and surprising surf code was born in Hawaii. 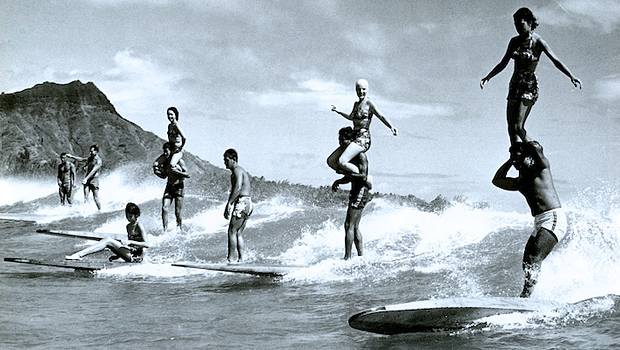 As the saying goes, the ancient surfers of Waikiki got acquainted and flirted with young women in such way overtaking them in the water and reseating them on their boards. And on return they had to carry women in their arms along with controlling the board. Probably, the tandem surfing would remain amusement of islanders if not for the surfer Duke Kahanamoku and his mate who stroke Australian coast viewers by their pair performance. After that tandem surfing became the part of many prestigious competitions. The peak of popularity came to the 60s when this event was officially included in the program of the World Surfing games. Bye the way, this activity is complicated enough. Just imagine the partner should have outstanding strength and knack to avoid losing control of the board with a woman above the head. The woman in her turn should be willowy and graceful without losing a balance while making tricks. And the trust and mutual understanding are required for both of them. Surfboards have specific requirements. They must have a category Malibu Maxi, not less than 11 feet lengthwise and 25 dime breadthways to have enough space. In few words, tandem surfing had several waves of popularity sometimes becoming only an entertainment. Professional surfers had a slighting attitude to the idea; however, with the birth of the fashion on Malibu Maxi boards an interest to the tandem was coming back. Surfing couples competed with each other issuing educating video textbooks and entering ITSA (International Tandem Surfing Association). However, the tandem surfing was forgotten for a long time without a hitch. 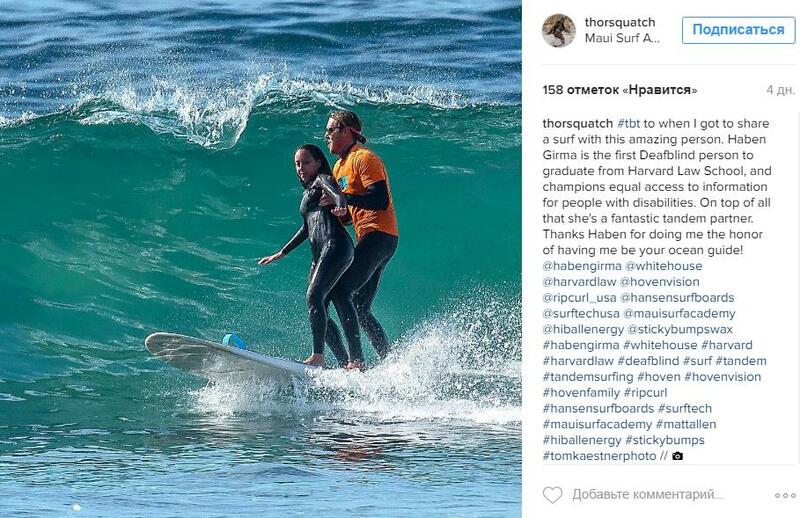 So, a couple from Brazil appeared in the Internet and pulverized by their incredible tricks on a surfboard. 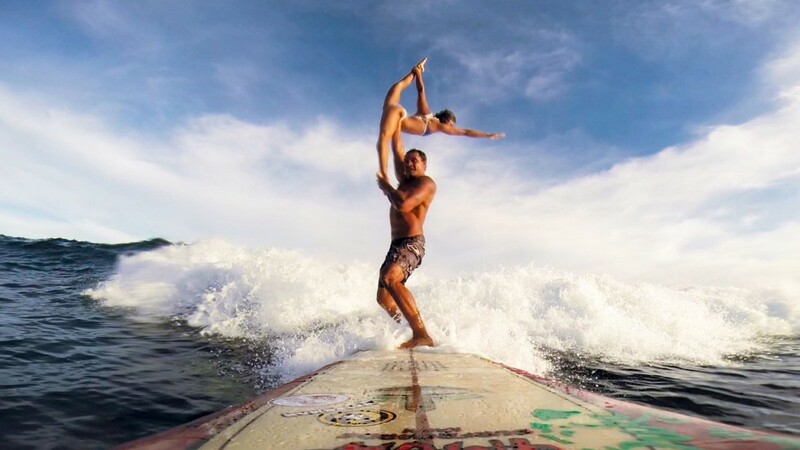 Gabriela Cardoso and Eduardo Lima (Instagram — @gabiduda.surfduplo) created an account in Instagram called “Tandem Surf Brazil” where they share photos of their incredible adventures in the water with the world. 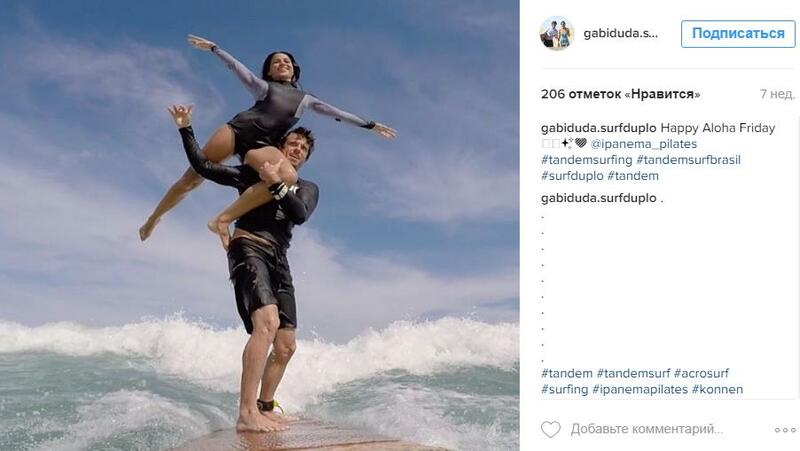 For Gabriela and Eduardo tandem surfing is not only one of the variants of mutual amusement but also the way to strengthen their relationships, cosy up and feel themselves in cahoots. For fairly short time their account had gathered more than 3000 of followers and the Instagram had been joined by 3000 of posts with a hashtag #tandemserfing from different users where people from all over the world show their acrobatic feats to the public. Many couples consider it as a way to cosy up. Therefore, the tandem surfing is popular again and in its today’s nature represents a suitable entertainment for a couple loving boards and the ocean, and what is more an excellent way to reach a complete Zen. But if you don’t have a soulmate it is a great way to possess him/her. Posted in Sport, Trends and tagged tandem surfing. Bookmark the permalink.